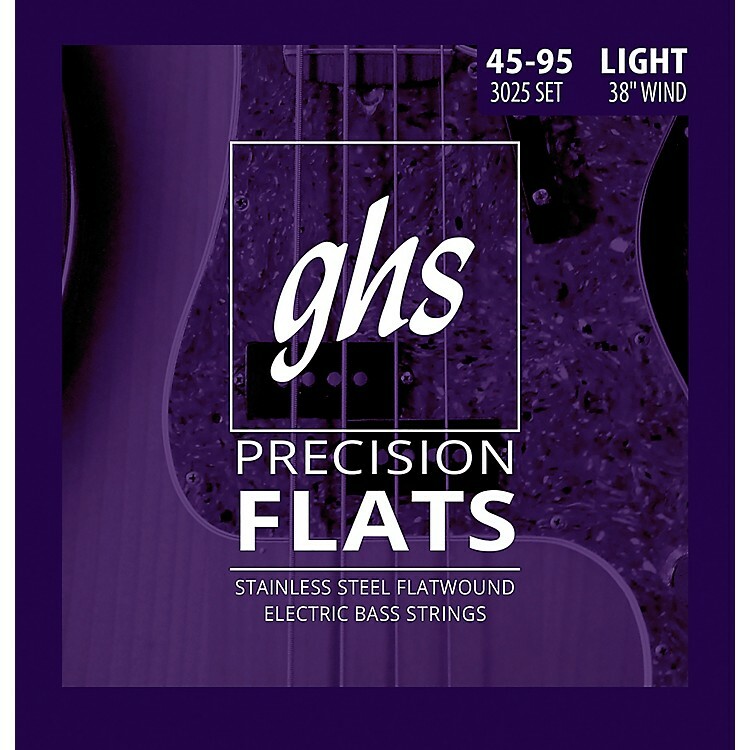 GHS Stainless Steel Precision Flatwound Electric Bass Strings deliver traditional, deep, percussive tone due to a unique cross-winding process. These strings are wound using a stainless steel ribbon wrap wire for extra volume and strength, then polished with ultra-premium grade micro-silicon beads. Gauges .045", .060", .070", .095". Gauges .045", .060", .070", .095". Try a set. You'll be pleased.